Remove Player Branding And Get Access To 5 Sub-Users Accounts! Thank you for investing in the best video player technology to date, ExplaindioPlayer. You can now use ExplaindioPlayer on unlimited websites which belong to you or your own business. If this is all you want you are all set. However if you are a consultant or an agency working with clients, we have a very special offer that we want you to really take advantage of. Remove Branding And Use On Your Clients Websites. 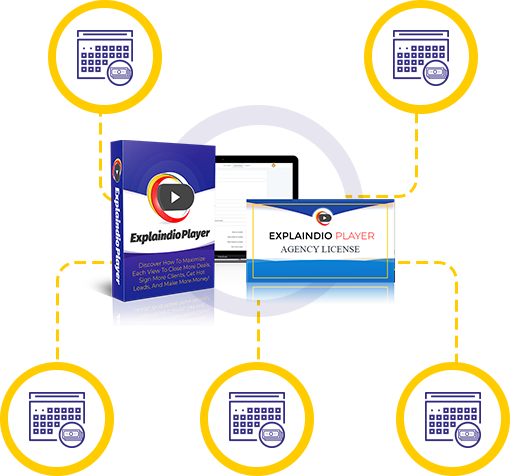 It is ExplaindioPlayer agency license, which allows you to add ExplaindioPlayer on the clients’ websites. Agency license holder will be also able to remove ExplaindioPlayer branding from the players. 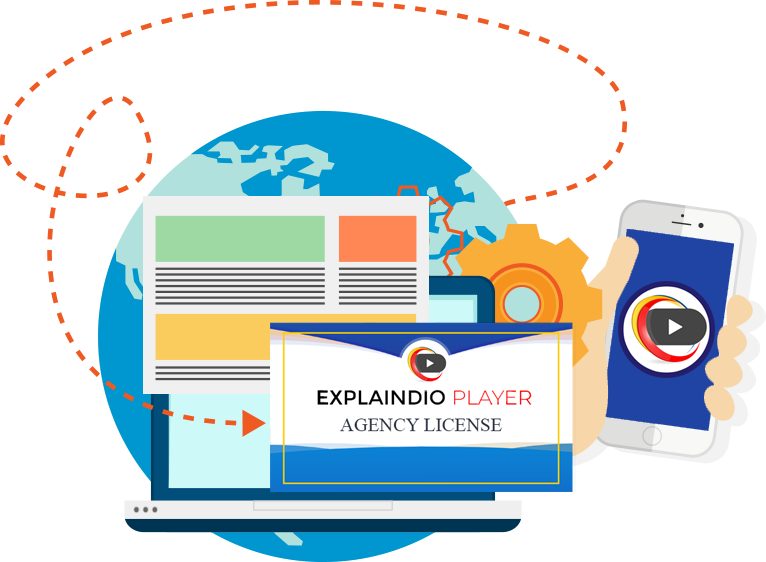 With this license you can place players on any website without our Powered by ExplaindioPlayer branding that is found on the players you create with regular license. Also, as experienced entrepreneurs, we understand the need for outsourcing. We know that agency clients may want to outsource the entire process or have teams involved in the process, and we want to give you the ultimate flexibility to work less and earn more. So as a part of this Agency License you will get access to our most requested multi-user license feature, which gives you an ability to add up to 5 sub-users to your agency account. It allows you to have your team or virtual workers involved in the campaigns creation process. 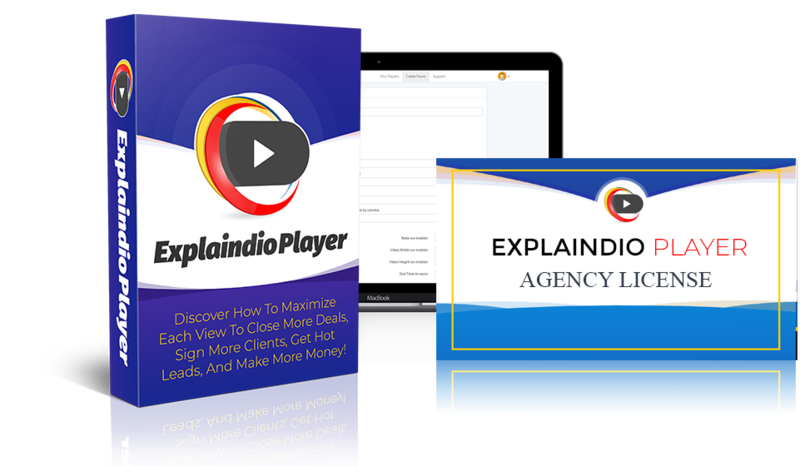 It means that with an Agency License you can become a middleman, outsource the entire process, and sell services you provide with ExpaindioPlayer for top dollars online and offline. 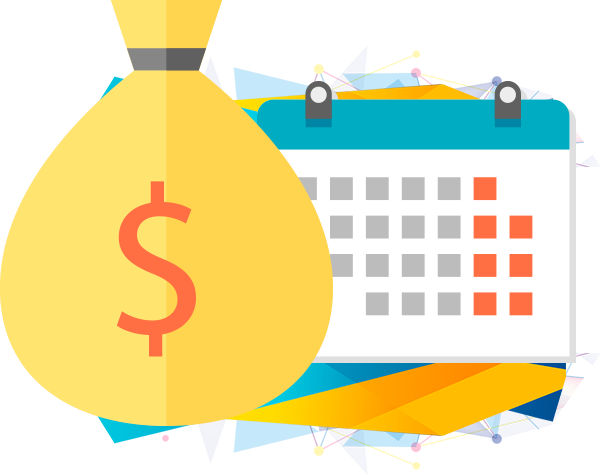 This single multi-user feature can increase your profits many times over, because you can churn out more client campaigns in a shorter amount of time. The market is very competitive and businesses are always looking for the newest technologies which can help them generate more leads, sales, and more business in general. 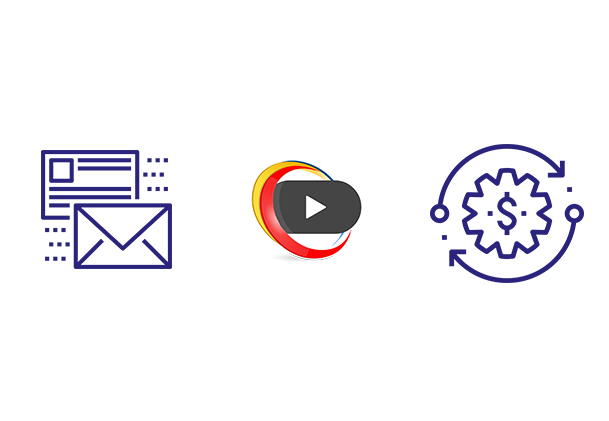 Since there is currently no other video player on the market, which has a combination of everything ExplaindioPlayer delivers, it could be your foot-in-the door to convince clients to do business with you. You always need to have something which makes clients choose you, instead of the competition, and ExplaindioPlayer might be just the technology you need to succeed. Marketers and communicators from businesses both small and large all look for more social reach, content virality, and video watching completion rates to pass on their message in a powerful and effective way, to as wide as possible audience. 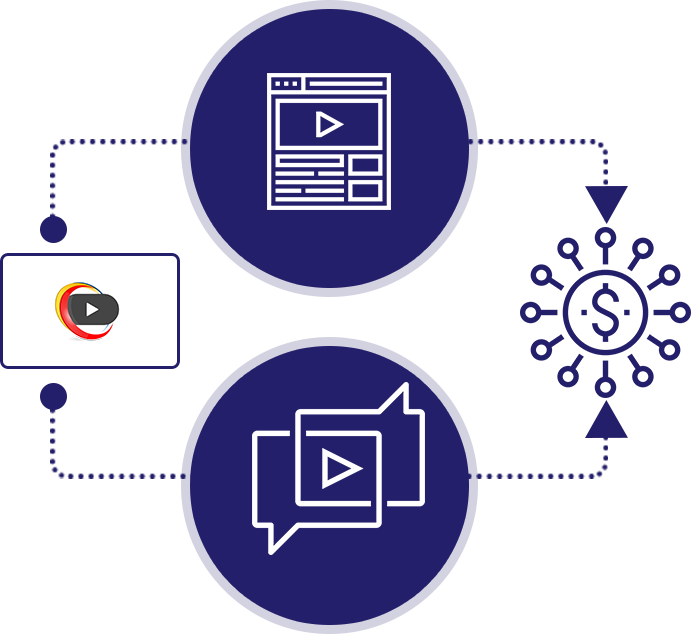 There is presently no better video marketing platform on the planet than ExplaindioPlayer, and it can give your clients exactly what they want, while you will be a hero who delivers them the solution they so desperately need. ExplaindioPlayer gives you an access to centralized dashboard, which allows you, after adding single line of code once, to remotely replace videos on clients websites without the need of any further access to clients’ websites. It also allows you to rent your own marketing videos to clients and collect hefty checks month after month. 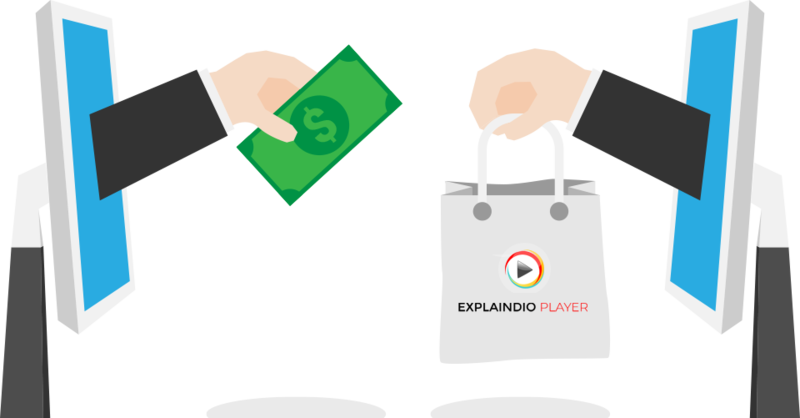 There is no better time to start selling video marketing services with ExplaindioPlayer than right now before everybody else catches up a year or two from now. No Thank You Andrew, I don't need to remove ExplaindioPlayer branding, have 5 sub-accounts or sell video marketing services to clients. Please take me to the next page.